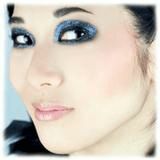 If you need to buy Glitter Face Paint / Glitter Makeup click here for a great selection, from our shop. 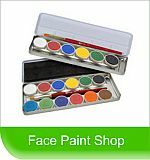 Glitter face paint or Glitter makeup is a must for the face painter who is wanting to add that special touch to that award winning face, there is a pretty large selection of different glitter makeup products on the market. 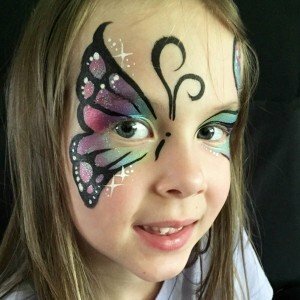 For those new to face painting and glitter a Big No-No is to use normal craft glitter. As award winning face painter, Catriona Finlayson says "As you know most mum's etc just go buy a big pot of the cheap sharp metallic craft glitter which isn't cosmetic grade and can scratch eyeballs, etc....."
Cosmetic grade glitter should ONLY be used. There are various different glitter face paint & body painting glitter products on the market: Glitter dusts, glitter makeup, glitter powders and glitter gels, plus liquid glitter. 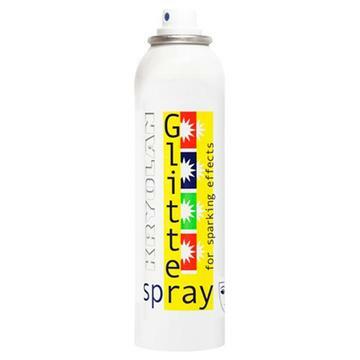 Also for the complete glitter effect there are also glitter hair sprays and even glitter lip sticks! 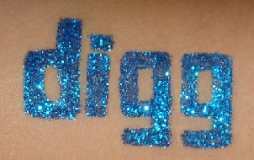 Then there are the temporary glitter tattoos. For UV and night effects there is also the glow in the dark glitter gel. Amerikan Body Art Liquid Bling: Amerikan Body Art Liquid Bling is a perfect glitter face paint gel for adding accents to your face or body painting designs. Dots of Liquid Bling look just like little crystals! Liquid Bling glitter gel is made from cosmetic glitter and an aloe gel without any drying agents. Therefore the glitter gel dries a little slower than other glitter gel products, but it also doesn't clog up. Graftobian GlitterGlam Glitter: Graftobian GlitterGlam Liquid Glitter is a highly durable, non-alcohol glitter gel and is safe for application on all skin areas including lips and over the eyes. GlitterGlam is water soluble so it does take a few moments to dry, but when dry it is long-lasting and has a visual high-impact. Graftobian GlitterGlam brushes on effortlessly and is a great alternative to loose glitter. Mehron GlitterMark Glitter: Mehron GlitterMark liquid glitter was designed for professional face and body painters, designed by Mark Reid, world famous face & body painter and instructor. GlitterMark has the same fine cosmetic grade polyester glitter in Mehron GlitterDust mixed in a water based gel with a fine tipped applicator for creating fine lines and 3 dimensional details. Mark Reid's signature GlitterMark glitter gel has highly pigmented coverage and is great for accents, glitter tattoos, body jewelry and henna designs. Mehron GlitterMark liquid glitter face paint is paraben and alcohol free. 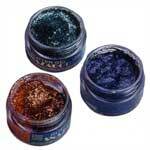 Ben Nye Aqua Glitter: Ben Nye Aqua Glitter lets you add dazzling sparkly details to your face paint design. Just shake and apply to clean skin or over dried makeup. Ben Nye Glitter dries in a few moments to a flake resistant finish. You can also use Ben Nye Aqua glitter face paint as temporary highlights for the hair. Shimmer Powders are ultra-fine powder that adds a luminous luster to skin. Our range of luminous powders are the perfect finishing touch for your makeup looks, face paint designs or even dusted in hair. For makeup, lightly brush powder on face and skin for an all over sheen or dust over eye shadow to give eyelids some extra luster. Shimmer powders are ideal for small skin areas like eyelids and creases because they stick better in fine lines than ordinary glitter. Shimmer powder can also be used with glitter glue for glitter tattoos or mixed with water or Ben Nye LiquiSet for a durable, water-resistant finish that dazzles. 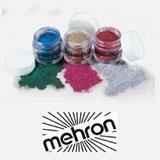 Mehron Glitter Dust is a fine, cosmetic grade polyester glitter that lets you add dazzling shimmer to your face painting design. Add instant pizzazz with accents or all over dusting of Mehron Glitter for exciting face painting decorations and body painting accents. Precious Gem Powders are packaged in an easy-to-use shaker top container, which controls just the right amount of powder. 7 gram size. Kryolan Glamour Sparks are an super fine, high-luster non-metallic powder that gives an iridescent sheen and sparkling effects on the skin. Use Glamour Sparks all over the skin for a glowing effect or to add detail to your face painting design. Glamour Sparks are finely milled highly lustre powder. 3 gram container. Kryolan Glitter Lites are cosmetic grade, fine glitter face paint that let you add sparkle and glitz to any face paint design. 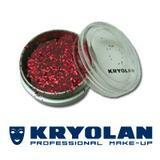 Use Kryolan Glitter to enhance your face painting or glamour look with accents or all over dusting. 0.1 ounce container. 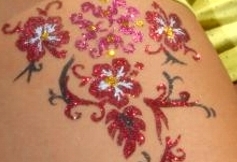 Create beautiful tattoo designs using our glitter kits, tattoo kits or temporary tattoo transfers. 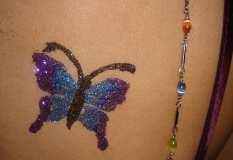 We carry high quality transfer tattoos that can be used to create realistic tattoo effects. 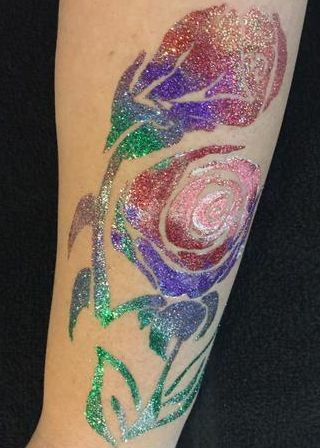 Glitter face paint kits add sparkle effects to your tattoo designs. 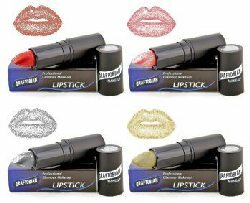 Color lips with these shimmery shades of glitter lip sticks. Graftobian features a new long-lasting formulation that yields a truly professional lipstick. The lipstick has durability in the color range, especially in natural print-media fashion shades. Kryolan Hair Color feature three different Hair Spray lines: Color Spray, Glitter Spray and UV Dayglow Spray. Kryolan Sprays are perfect for hair effects and wigs. Each line has a wide variety of color options from intense, vivid hues to neutral tones for creating subtle to dramatic hair looks. Temporary hair spray can be removed easily by washing out with shampoo and warm water. Amerikan Body Art Holographic Cosmetic Glitter is brilliant sheer and semi-sheer polyester glitter, ideal for face painting and glitter eyeliner. Sheer Holographic Jewels glitter adds a nice shimmery finish to your face paint design without covering the design. 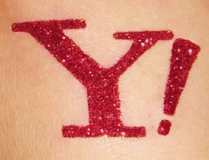 For glitter tattoos, use a semi-sheer and opaque cosmetic glitter instead. All of Amerikan Body Arts polyester glitter is made from hexagonal .008 sized polyester and is safe for use on body and face. Amerikan Body Art Holographic Glitter is made in the USA. Metallic Powder lets you create a dynamic gleaming finish. Use metal glitter powders dry for a shimmery effect or mix with mixing liquid for a durable, opaque veneer. Graftobian Powdered Metal is a popular metallic fantasy makeup that is very easy to apply and gives absolutely stunning results. Use just a little to line eyes or accent face paint; use 2 bottles of Graftobian Cosmetic Powdered Metal to paint an entire body like a statue. 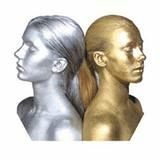 Once dry, Graftobian Powdered Gold has an opaque and highly durable finish perfect for recreating: Oscar (the Academy Award), The Goldfinger Girl, or any other metallic character you want to be. Mehron Metallic Powder is an ultra fine makeup that lets you add dynamic metallic shine to any face paint or makeup look. This ultra fine, silky smooth powdered metal can be used alone for a translucent shimmer effect or combined with Mehron Mixing Liquid to form an intense metallic liquid makeup that coats opaquely and thoroughly but washes off easily. Glitter Eye Makeup adds that extra glamorous shine to make your face paint design sparkle. Apply eye glitter powders wet or dry for effects from shimmery to intense for fabulous glitter eyes. Ben Nye Lumiere Grande Colour: Ben Nye Lumiere Grand Colour Cosmetic Glitter is perfect to add a shimmery finish to your face paint design. Ben Nye Lumiere is a brilliant, shimmery pressed powder that can be applied dry for an all over shimmer, or wet for an intensely beautiful opaque finish. You can also use Ben Nye Lumiere makeup as a base of face paint as well. 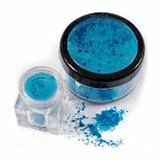 Kryolan Glitter Powder: Kryolan Glitter Powder Compact features microfine pigments for smooth, even application that can be used as accents or to create entire face paint designs. Use Kryolan Glitter Eye Shadow Powders dry, just apply with a brush, smoothy or fingertip for instant glitz and glam. Put your face paint cake makeup on top to create great glitter eyes.